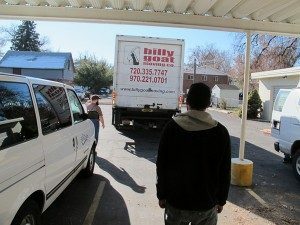 Each month, hundreds of families on the Front Range trust Billy Goat Moving & Storage with their residential moving needs. From packing and moving to settling in, Billy Goat provides helpful advice and assistance from start to finish. We can move you anywhere in the state. We offer one-day service from Colorado Springs to Aspen, Fort Collins to Durango, or anywhere in between. Whether you are just looking to move across town or across the state, Billy Goat Moving & Storage is here to assist you. Contact us today to schedule your residential moving date!